Scenes set in a city, including the Establishing Shot, can be enormously fun for people who actually live there if they can nitpick details. If the shot was actually filmed somewhere else entirely, it may quickly stop being fun and become headache-inducing, especially if it involves something like The Mountains of Illinois. Compare Artistic License  Geography. Not to be confused with Hollywood Atlas. In Citroën's "Unmistakably German - Made in France" ad, the final insult on its Prussia take on Germany is getting Berlin's geography wrong. The car pulls up outside the Brandenburg Gate. The guy gets out, the camera switches to show the other side - which clearly shows the Olympic Stadium, which is quite a way away from the Gate. They even visited a real gun shop and fired actual guns, which must have been near orgasmic for Japanese gun otaku unaccustomed to the real thing. Other exceptions: Eden of the East has very accurate landscapes even in New York and Washington DC, and Durarara!! is very accurate in its portrayal of Ikebukuro, down to the vending machines. Darker Than Black is another good one. Beyblade had a tournament in Sydney, Australia. Some characters decide that they want to have private conversation, so they meet five minutes later on top of Uluru. To those outside Australia, to get from Sydney to Uluru they would have to go over 2000 km. Pretty much any anime where the cast visits San Francisco will place it in the middle of a desert. Yu-Gi-Oh! at least makes it a cab ride away. Lupin III (Red Jacket) has an episode set in San Francisco, that implies the San Francisco Bay and the Golden Gate Bridge are within walking distance. Naturally used and lampshaded (by Beauty) in Bobobo-bo Bo-bobo. There's a bit in the second arc of Death Note where the characters allegedly go to Los Angeles but the scenery actually looks more like the Arizona desert. In The Ultimates 2, one panel showing a nice city landscape with an attractive domed building by a large river had a caption claiming its location to be part of EU headquarters in Brussels. Not only is the architecture of the city distinctly out of place (looking significantly more Mediterranean than the city itself) but more glaringly there is no visible river in Brussels! While a river does run through the city, it was built over in the 19th and early 20th century and runs underground for the length of the city. Averted by Scott Pilgrim, in which most of the locale is recognizably Toronto. X, a vigilante super hero from Dark Horse Comics. A scene taking place at the Vietnam Memorial shows office-building skyscrapers in the background. Naturally, no such buildings are anywhere near the place, much less all the more important locales in D.C.
Parodied and lampshaded in Sam & Max: Freelance Police, with locations (and time periods) looking only vaguely correct and with Max sarcastically pointing out the level of research taken in the drawings. In Alan Moore's American Gothic run, Swampthing chases La Brujeria to Chiloe, Chile, and we see him appearing from The Green in the middle of an amazonian rainforest, with aborigins and all. Actually, Chiloe is a Valdivian temperate rainforest . Maybe it was pre-crisis Earth-1 Chiloe. During the original Secret Wars, one of the chunks that made up the Beyonder's artificial world was a suburb of Denver. Not only did the writer not even bother to name that suburb, but the artist gave it brownstones and standard Eastern seaboard apartment buildings, generic city streets, etc.—and even Denver doesn't look like that, let alone any of the suburbs. Needless to say, Colorado readers rolled their eyes. Teen Titans Vol. 3 #21 involves a fight at the Franklin Institute Science Museum in Philadelphia. Apparently, the museum's interior consists entirely of its big statue of Benjamin Franklin. And the statue doesn't even look right. Left Behind describes Turkey as being in Western Europe. Slacktivist's page includes a handy map to demonstrate that is not, in fact, the case. After the Rapture, Buck goes through an ordeal of chartering random planes and making several stops to get from Chicago to New York. The journey winds up taking him many, many hours more than if he had just rented a car and driven it, even assuming he detoured around wrecks. Then when he gets to Manhattan, he walks what is described like ten miles, but in reality is less than two. Kafka's unfinished book Amerika features some serious geographical anomalies — like the city of Boston being located "just across the Hudson River" from New York City, or having a character try to travel from New York to San Francisco by heading EAST. Scholars are divided as to whether this was intentional surrealism or Kafka just not doing his homework. Twilight suffers from this horribly. For instance, Forks is described as being a gloomy town. The real Forks is just as sunny as any other town. Oddly the Pacific Northwest climate in the movies was a rare jewel of accuracy for both Twilight and movies in general set up here. It's better than the "usual buckets of rain" that are actually uncommon in Real Life. In the first movie, which was filmed in Oregon, the scene at the river is clearly on the wrong side of the state borders. Not to mention that apparently you can get from Forks to Alaska in sixteen hours. On (apparently) one tank of gas. That's almost two and a half thousand milesEdward would have had to be travelling at supersonic speeds. The Al-Can highway is so long and so remote that they have (or used to have) checkpoints; when you leave one, they radio ahead to the next to tell them you're coming. If you don't show up in a certain amount of time, they go looking for you to make sure you're not dead. This simply cannot be done in sixteen hours. Sherlock Holmes is a regular offender. Conan Doyle was a Scot with little knowledge of London, and it shows; it's quite impossible to establish the location of 221b Baker Street because Conan Doyle had no accurate knowledge of the area and simply made it up, and many of Holmes' journeys around London are no better. The "opium den" in Limehouse is clearly taken from generic period fiction. Holmes also visits Cambridgeshire in "The Missing Three-Quarter" and walks in an afternoon between three villages which would represent a round trip of about forty miles; this is a rare example as most of his country locations are fictional places with generic or character-based names like "Musgrave Hall", or like Hound of the Baskervilles based in locations whose names were well-known but with little actual details. The only accurate part of Holmes' journeys are his train trips, because Conan Doyle could presumably read Bradshaw (a very popular railway guide of the time) just as well as anyone else. Rosemary Edgehill is atrocious on New York layout. In one of her "Twelve Treasures" fantasies, she puts the Arms & Armor collection in the basement (?) of the "Museum of Natural History", and moves THAT to Museum Mile on the East Side, when the AMNH is on the West Side. Granted, the Museum of Natural History has some examples of non-European arms and armor as part of the Ethnographic exhibits. In reality the most prominent Arms and Armor collection in New York is in the Metropolitan Museum of Art at 1000 Fifth Ave, and that gallery is on the first floor, although the department offices and storerooms are indeed in the basement. "Take Me Home, Country Roads" by John Denver starts out with the lyric "Almost heaven/West Virginia/Blue Ridge Mountains/Shenandoah River". The Shenandoah River barely nicks West Virginia, and the same is true of the Blue Ridge Mountains. Canadian folk song "This Land of Ours" contains the line: "I have walked on the sand of the Grand Banks of Newfoundland." The Grand Banks are a site where ocean currents converge and are especially good for fishing; you may well have walked on the sand there, but it would have required SCUBA gear and significant weights. Along those same lines, "The Night Chicago Died" by Paper Lace features the lyric, "Daddy was a cop on the eastnote though in fairness, this could be a reference to the downtown and adjacent rough areas of the city, which lie just west of Lake Michigan and thus east of the rest of the city side of Chicago." In the words of one respondent to Dave Barry's Bad Songs survey, "There IS no east side of Chicago; just an awfully, awfully big lake. Daddy would've needed scuba gear to walk the beat." Billy Joel's song "The Ballad of Billy the Kid" includes the lines "And his daring life of crime/Made him a legend in his time/East and west of the Rio Grande." Years later, Joel shamefacedly admitted bungling his geography — the Rio Grande flows west to east, and you can only be north or south of it. Actually averted since it flows North-South inside New Mexico. "Don't Stop Believin'" by Journey tells a tale of a "city boy, born and raised in South Detroit." Depending on where you are in Detroit, "South Detroit" is either in Canada or in the area on the U.S. side of the Detroit River known locally as "Downriver". Either way, it's probably not what the San Francisco-based band was going for. Dan Fogelberg's "Run for the Roses", about the Kentucky Derby, opens with "Born in the valleys/and raised in the trees/of Western Kentucky." The state is indeed the epicenter of the American Thoroughbred breeding industry, but the horse farms are generally within a 30-mile radius of Lexington, which is locally considered to be in Central Kentucky. For most Kentuckians, "Western" Kentucky doesn't begin until you're at least a 90-minute drive from Lexington.note And some who grew up in the state's far west don't consider Western Kentucky to begin until nearly three hours out from Lexington. 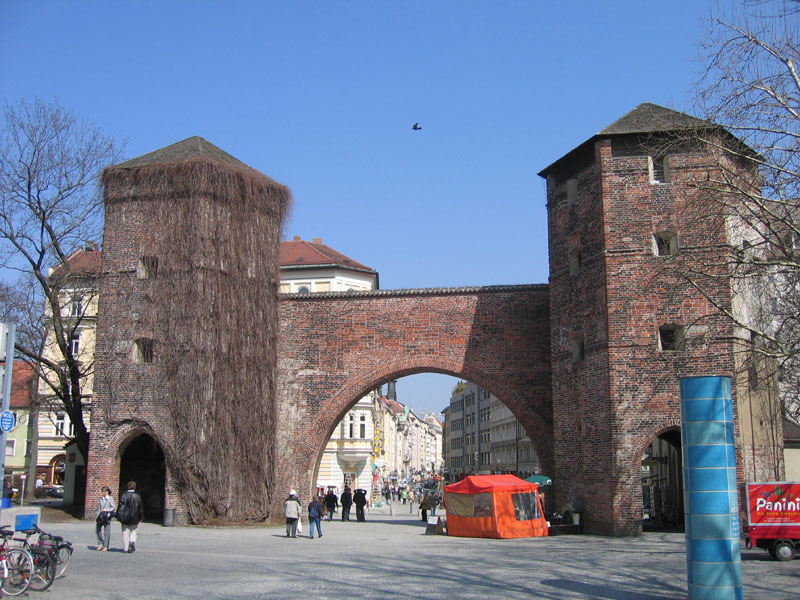 The Twilight 2000 adventure module "The Black Madonna" is supposedly set in Czestochowa in Poland. Though, to be fair, apparently some writers did go to Krakow. In the middle of Cold War. To write a gamebook. Twenty years of post-Communist development and a conspicuous lack of World War III later, the geography and some of the descriptions are still recognisable. The Werewolf: The Apocalypse module "Rite of Passage" appears to be set in some scrunched-up alternate version of Canada that is barely the size of Mexico and bears little resemblance to the real one. Among other things, it describes a village in northern Saskatchewan as being "nestled in the fog-shrouded mountains"note there are no mountains in Saskatchewan and "mere 150 miles from Toronto"note 1,500 miles would have been more believable. Likewise, the origin New Orleans by Night book for Vampire: The Masquerade is somewhat infamous for referring to "the subways of New Orleans". Not only is it blatantly wrong—New Orleans' trolleys are all above ground—it's not even plausible. Most houses in southern Louisiana don't have basements and the dead can't be buried six feet under due to the groundwater, and we're supposed to believe the city could sustain a subway? There is The Winter's Tale with its infamous scene set on "The seacoast of Bohemia"
This is easily explained as a simple reversal of setting from the book it was based on ("Pandosto or the Triumph of Time" by Robert Greene) which has the action move from Bohemia to Sicily, rather than Sicily to Bohemia. A seacoast of Sicily makes perfect sense...Bohemia not so much. Resistance 2 has a secret military bunker on Angel Island. When you exit the bunker, the Bay Bridge has suspiciously been painted red. Parasite Eve takes place in all sorts of New York landmarks, such as Central Park and the Museum of National History. While the general feel of the places are surprisingly accurate, they play merry hell with the layout, obviously in an attempt to RPG-ize it. Chinatown doesn't look anything at all like Manhattan's Chinatown, or any other in NYC. Then there's the three East River crossings all looking like copypasted Brooklyn Bridges. For added hilarity, there's subway trains running across them, when in reality the Brooklyn Bridge is the only one of the three which doesn't have subway tracks, due to the bridge's age. In [PROTOTYPE], Manhattan is located in the middle of what appears to be a large bay instead of between 3 rivers, so that all other landmasses are too far to reach despite the Player Character's quite significant aerial movement capabilities. There is an arcade game showing a scene of a helicopter flying through massive skyscrapers and listing the location as "Green Bay, Wisconsin". The tallest building in Green Bay is the 10-story St. Vincent's Hospital, as seen in this picture of the skyline . The 1983 arcade game Moto Race USA. Race stages alternated between urban and desert zones, which were mostly suitable, except, for the leg between St. Louis and Chicago, Illinois was transformed into a desert. Deus Ex: Human Revolution has the CN Tower visible from the Picus building in downtown Montreal. The problem is, the CN Tower is in Toronto, over 400 miles away. Tess Masazza's Italian Web Series Insopportabilmente Donna has a Camping Episode that supposedly takes place in the Wild Wilderness. However, it is clearly shot in one of the municipal parks of the Milan metropolitan area. Carefully looking at the background, it is even possible to see the cars running on the avenue that delimits the park. 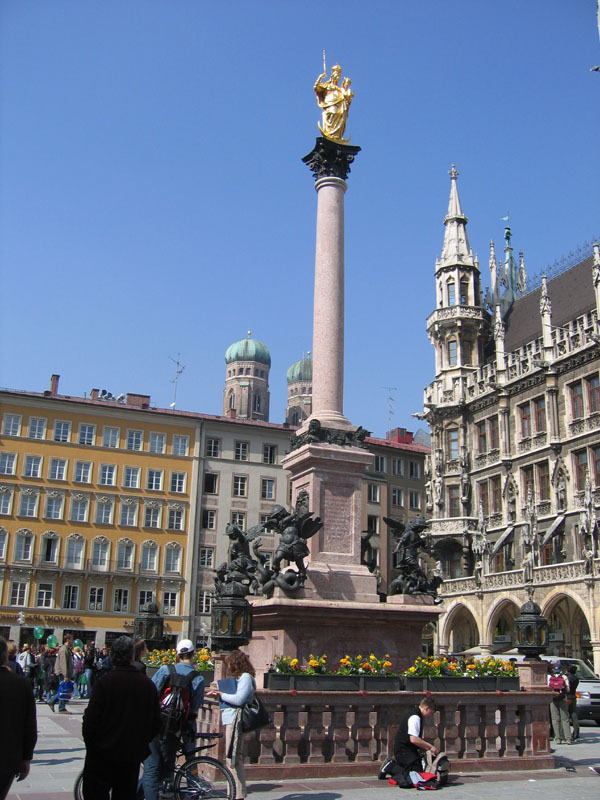 In one Family Guy episode, Brian and Stewie visit Munich, and drive in a tour-bus past Munich's Old Town Hall , the Sendlinger Tor ◊ and the Mariensäule ◊, which are all presented next to each other on a medieval intersection. This couldn't be further from the truth - not only are there hardly any truly medieval buildings left in Munich, but the Mariensäule is in front of the new Town Hall building a hundred meters away from the old one ◊ (and all three buildings are on the central Marienplatz square, not on some intersection), while the Sendlinger Tor is almost an entire kilometer away from the Marienplatz. Lampshaded in Assy McGee. The series supposedly takes place in Exeter, New Hampshire, a small town, but it is depicted as a crime-ridden metropolis. Not exactly geography, but in one episode of Gargoyles, King Arthur enters Westminster Abbey... by a door that does not exist. The Chapel of Henry the VII is recognisable enough, but the rather significant King Edward's Chair is on the wrong side, against a wall that also does not exist (the chair, at least, did still contain the Stone of Scone at the time the episode would've been written, however). Danville on Phineas and Ferb is within driving distance of Mt. Rushmore for a day trip, yet is also on the ocean. Averted (ironically) in The Simpsons, which takes great care to get geography down accurately when they visit a major city and to include proper landmarks; for instance, having been released from prison in Tokyo, they are seen to walk away from the Tokyo Police Headquarters (a very distinctive building). Played straight in the first episode where the family goes to Brazil. Most of the whole thing takes place in Rio de Janeiro, but when Homer is kidnapped there, next time he and the criminals are seen is in the middle of the Amazon rainforest, then they later set up a ransom exchange in Rio again, which would be like being kidnapped in Florida, taken to be held hostage in the Rocky Mountains, then freed in Florida anyway. Lawndale in Daria is somewhere where snowy mountains, a coastline and a desert are all within a day's driving distance. Somewhere on the West Coast of the United States seemed reasonable... then they drove up to Boston on a day trip in Is It College Yet?. Word of God puts it in Maryland. Or maybe Pennsylvania. Rio averts with its depiction of Rio de Janeiro. The sequel, however, meshes many distant parts of The Amazon at walking distance (which the director admits was intentional). Though Bolt does play part of it correctly, a specific moment in the New York part makes it obvious the creators haven't been there. The location is established via a shot of the corner of Broadway and 42nd Street at Times Square, a nondescript intersection with a generic deli in the background and a sign letting you know it's Times Square. In real life, this sign doesn't exist, because it's difficult to miss the riot of huge lighted billboards and neon advertisements, and currently in the background at the time of this writing and when the film was made is the distinctive swooping facade of a clothing store. In the Mister T episode "Fortune Cookie Caper", Mr. T and the gang visit New York's Chinatown district—which is wall-to-wall old-China style architecture, very wide streets, rickshaws, few people, and no cars, parked or otherwise. (The gang is able to parallel park a full-length bus.) The real New York City Chinatown is, if anything, the exact opposite of all these things. That's just the beginning of an episode full of laughable New York geography (riffed here ). In The Transformers, it was a plot point that (Early Installment Weirdness aside) most of the Autobots could not fly. They didn't gain any flying team members capable of carrying the others until Skyfire joined late in the first season, and he rarely appeared in the second season. None the less, whenever the Autobots had to get to Africa or South America or Asia in a big hurry, they would all drive dramatically out of their H.Q., we'd cut to the next scene... and there they would be at their destination! Did they drive there? Nobody knows. For that matter, it's never clear just where their American desert with a volcano in it is. By contrast, in the comic book, Mt. St. Hillary is clearly a stand-in for Mt. St. Helens in Washington state, and the surrounding territory is appropriately green, not a desert. During a federal election leaders' debate in 2000, then-Canadian Alliance leader Stockwell Day made a reference to jobs flowing south "like the Niagara River." As was gleefully pointed out to him in most newspapers the next day, the Niagara River flows north. Many people, most notably former Governor General Michaëlle Jean, have mistakenly referred to the view of the Rocky Mountains from Vancouver. Those would be on the other side of the province, actually. The mountains around Vancouver are the North Shore Mountains, part of the Pacific Ranges. A Chapman University informational flyer shows a simple map of California and several of its cities. The cities are depicted in positions wildly different from their actual positions. San Diego is depicted as being far inland instead of being near the ocean and much farther north than it really is, San Francisco is shown at the southern end of San Francisco Bay instead of at the bay's exit channel to the ocean, Sacramento is shown too far west, Santa Barbara is shown too far north and west, Los Angeles is shown too far north, and Orange, the very city the university is located in, is shown too far east.